With the release of ScreenSteps 2.8 we introduced the ability to link between two lessons in a manual while working in ScreenSteps Desktop. To do this, ScreenSteps would store a reference to the lesson being linked to and would resolve the link to the lesson when you exported the manual (e.g. 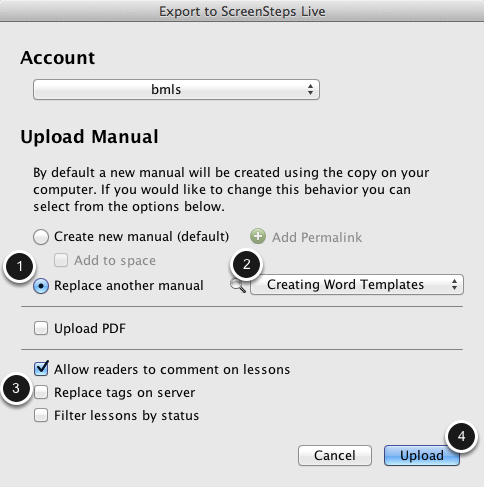 to Word or ScreenSteps Live). The initial 2.8 release relied on a lesson identifier that was only unique to each ScreenSteps library. What this meant is that when you shared your manual authoring materials with other ScreenSteps users the links to lessons within manuals would most likely break. With version 2.8.2 we have introduced a universally unique lesson identifier that is used when linking between lessons. When you open a ScreenSteps Library for the first time in 2.8.2 this identifier is automatically generated and all of your links between lessons are updated to use the new identifier. 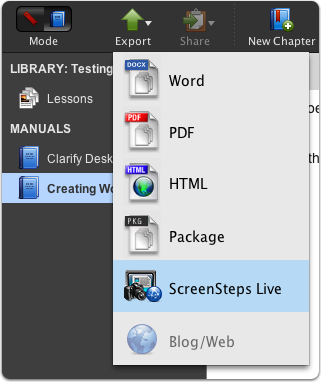 ScreenSteps Live users need to perform some extra steps, though, as the lesson source materials stored on the ScreenSteps Live server will not contain the new unique identifier. One of the manual authors needs to update that source material so that other users working on the manual can then download updated lessons with the correct unique identifier. This lesson will show you how to perform this update. If you have any questions at all or just want someone to hold your hand while going through these steps please contact support. You should upgrade all users in your organization to ScreenSteps 2.8.2 or later. Otherwise the lesson unique identifiers will be lost when downloading content from or uploading content to ScreenSteps Live. 1) Use the Redirect feature in ScreenSteps Live to point the old links to the new chapters. This is the easiest solution. 2) DO NOT replace the manual on the server. You should upload each lesson individually by right-clicking on it and selecting Export > ScreenSteps Live from the contextual menu. Now that everyone has 2.8.2 or later installed you need to republish your manuals to ScreenSteps Live. This will upload all of the manual lessons along with their unique identifiers. Open the ScreenSteps Library that contains the entire manual. In the inspector palette web palette select the ScreenSteps Live account the manual is associated with. Press the delete or backspace key to break the link between the manual and the account. Confirm that you want to break the link in the dialog that appears. From the export dialog that appears you want to REPLACE the same manual on the server (1). Doing so forces ScreenSteps to upload all source material again. 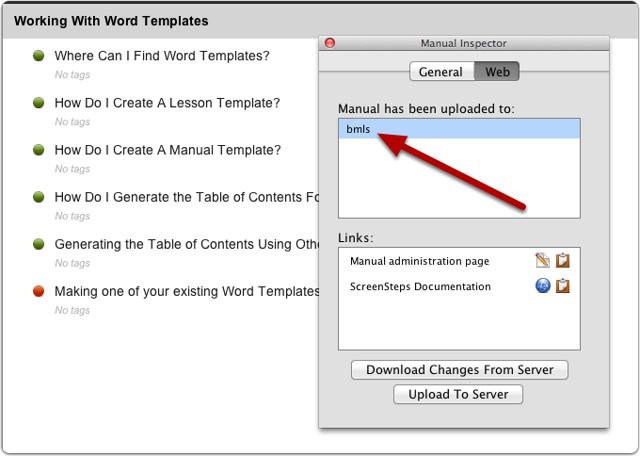 Since I'm uploading the Creating Word Templates manual I select Creating Word Templates from the replace menu (2). Configure any other settings that apply (3). ScreenSteps will upload all content to the ScreenSteps Live server. Note that my manual will be unavailable while the lessons are uploaded. Other authors can now import the manual into their ScreenSteps Desktop software by following these instructions. Prev: What Happens if Multiple People Edit the Same Lesson?